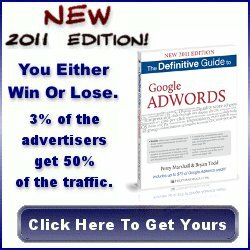 Most people in the Internet Business talk about traffic — “Targeted Traffic to Your Web site” — only. This does not give you the whole picture, because your Web site is one of many vehicles to get your customers from. It is by any means the most important factor, but not the only one on the road to success. Think about it and look at yourself. You will recognize, that you just do not stumble upon some Web site in most cases. You have found the link to it in a search engine, in a blog entry, as a plain text link on another Web site or you even heard somebody spelling the URI on the radio or read an article or advertisement in a trade magazine. You see there are many sources for advertising online and offline. We could dig even deeper into those categories, but actually we want to get you started quickly. Let us begin with four (4) complementary methods. You might have been told before that it is essential to capture the email addresses of visitors to your Web site. Do not start driving traffic to your site, unless you have an autoresponder in place. Providing valuable advice for free to your prospective customers is one great possibility to position yourself as an expert. People will like to link to your site, which is one foundation for good ranking in the major search engines. You will get a lot of exposure that brings traffic to your site for free. So far we have not painted the whole picture. How could we on one page? We will continually publish about lead and traffic generation. Stay tuned. Sign up to our newsletter and visit our E-Biz Booster Blog. Continue reading about Usability Engineering.